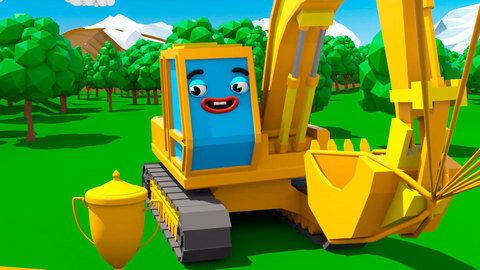 A Bad Monster truck plays tricks on the busy Yellow Excavator in this 3D car cartoon for children. At first it drops a pipe on the Excavator head then it creates a parachute that drags the Excavator all over town. The Excavator jumps over busses and even wins the race between the race cars. Let your kids be entertained with more 3D car cartoons that you’ll find at SeeZisKids.com.